Flamant is not an interior decoration shop, it’s a journey to the land of beauty. A crossing of Saint-Germain’s vibrant heart where its doors open onto Fürstemberg place… and rue de l’Abbaye. A “Germanopratin” ride all in itself. 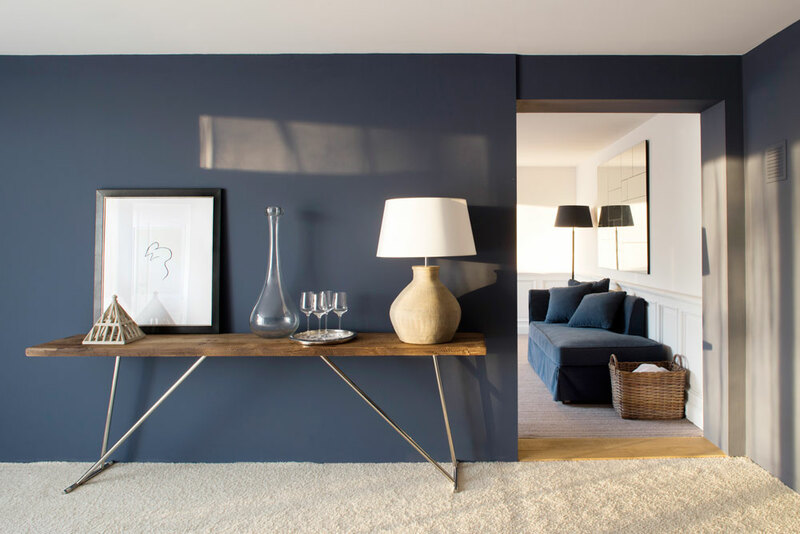 We like to wander around this 650 square metres space, trying out a leather or linen sofa, a piece of oak furniture –with the welcoming spirit of Northern European décor– a bedroom interior where you imagine yourself with a view of the sea, in an “île de Ré” spirit. You stroll around this soothing environment, a far cry from the fast-paced Parisian rhythm. Here, you walk at a snail’s pace: perfect for seeing everything in blue with a “Capri-theme” this summer, displayed in all different shades on surprising materials. The Back-to-school season will be more muffled, lulled by gentle candle light, in the peaceful atmosphere of soft couches and deep armchairs. Is it the timeless materials such as oak, elm or pine wood or the décors, orchestrated as a magazine pages, that are making Flamant more than a brand, an enchanting destination? Knowing its manager, Arnaud Garel, you soon realise that this former printing house is the image of its host, accessible and friendly: “I like to see people happily sitting down on our sofas. Flamant is a place and a way of life” according to him. What are you doing tomorrow?